Monalisa latest pictures will leave your heart racing. 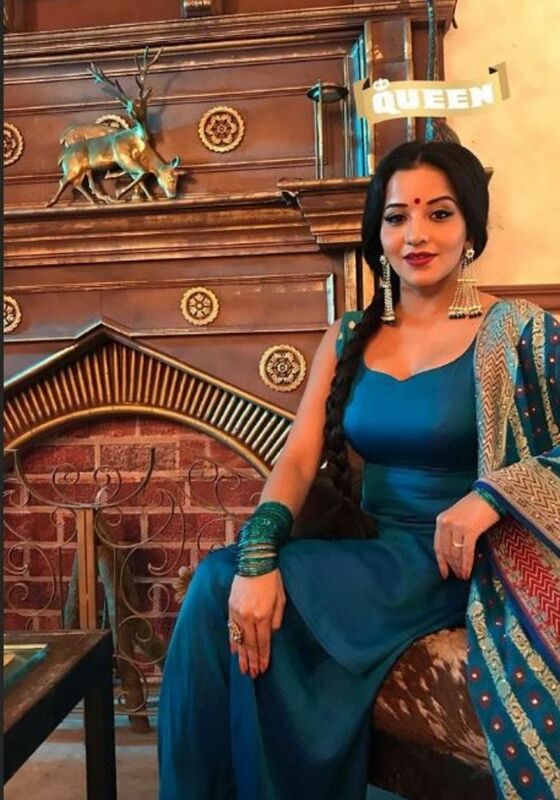 Bhojpuri actress Monalisa is currently seen playing the role of a daayan in the daily soap, Nazar. She enjoys a huge fan following and keeps treating fans with her beautiful pictures. In the latest one, she looks super hot as a daayan. Dressed in salwar suit, Monalisa is set to kill with her looks. She has flaunted her beautiful eye make-up and it goes without saying that nobody could have played the role of Mohana better than her. From dancing on Bollywood tracks to climbing buildings and performing high-octane action sequences, Monalisa is doing everything to keep the audience hooked to the small screen. She shares a great bond with her Nazar co-stars. The lady has many times posted pictures while having fun with her team. A couple of days back, her song titled Na Hosh Hai Na Khabar, went viral on social media in which she danced with Bhojpuri superstar Dinesh Lal Yadav Aka Nirahua. Both the stars have worked together in films like Saat Saheliyan, Saiyan Jigarbaaz, Hum Bahubali and many more. Monalisa’s Nazar is doing good on the TRP charts. The makers are coming up with new twist and turns to keep the audience glued to the small screens. Lately, the actress was seen dancing to Dola Re Dola on the show. Earlier, she grooved to Katrina Kaif’s Chikni Chameli. Monalisa left no stone unturned to make people across the country go gaga over her. After delivering blockbusters films in Bhojpuri cinema, Monalisa participated in the TV reality Show, Bigg Boss. She got married to her boyfriend Vikrant Singh Rajpoot inside the house. However, the actress couldn’t win the show. Later, the couple participated in Nach Baliye.